Spring Dance Hot Tubs, Inc. is a value based, family-owned business committed to excellence and integrity with over 25 years experience in the hot tub industry. We have three locations in Jamison, Pa, Exton, Pa and Marlton, NJ serving Bucks, Chester, Delaware, Montgomery, Burlington, Camden and Gloucester counties, as well as the surrounding communities. 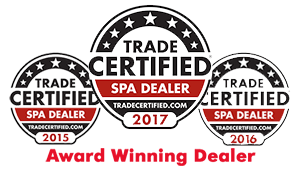 To promote health, relaxation and family-togetherness through the sales of high-quality hot tubs and related products, one backyard at a time, and to provide outstanding customer service that exceeds our customer’s expectations. Here at Spring Dance Hot Tubs, we take our customer service seriously. We know that when it comes to choosing a hot tub you have many options. We are confident that we are the right company to earn your business! We know that our sales team and staff speak for themselves. If you call or walk into one of our stores for even a few minutes, you will be greeted by a friendly staff member who wants to help YOU with your questions and concerns. We’ve won every year this award has been given from SpaSearch.org for excellence in sales, service & customer satisfaction. Awards given to us by the world’s leading hot tub manufacturer. In 2010 our Owner & GM, Dan Sine & Jeff Bailey, were featured as “Retail All Stars” in a leading hot tub industry publication, Spa Retailer Magazine.